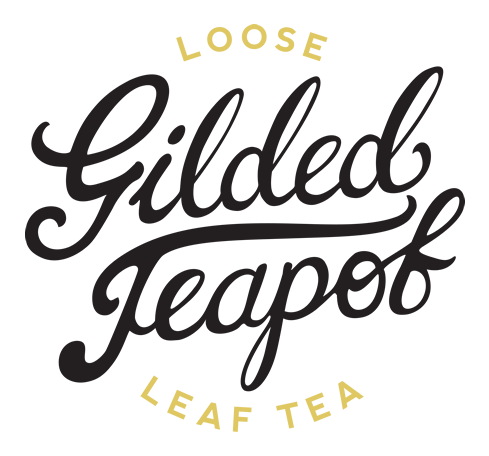 The Gilded Teapot > Blog > Archive by category "Recipes"
Cold tea? We’d normally think of this when we return to a mug we made earlier, only to find that our cuppa has turned cold and bitter while we were preoccupied. But brewing tea in cold water – or ice – can yield fantastic results. First popularised in Asia, most notably Japan, cold brew teas are served up and down the country as a refreshing remedy during the muggy, humid summers. One of the interesting things about cold brew tea is that a very different chemical process takes place to that of hot water. Higher temperatures encourage the leaves to release their many compounds and potentially bitter substances faster – however, the cold brew process reveals an entire new world of soft, sweet, grassy flavours with a rich touch to the palate. One of our favorite teas here at The Gilded Teapot to use for cold brew Japanese organic Sencha Superior and is beautifully simple to make. The first method is add the Sencha to your teapot and fill it with ice cubes – once enough of the cubes have melted to fill your cup you can strain the infusion and enjoy. The other method is to add the tea leaves to cold water and infuse for 5-8 minutes. You can also re-infuse these leaves several times, so you can enjoy your cold brew throughout the day. Here’s one of our favorite sunny day concoctions – a shaken Matcha cold brew finished with lime and mint. Matcha is a fascinating shade grown green tea upon which the Japanese tea ceremony is built – these soft, sweet leaves have been ground to form a fine powder which, when whisked into water, forms a vibrant, velvety infusion. While delicious as a tea in its own right, it pairs incredibly well with other flavours – in this instance, the grassy matcha with fresh mint makes for a deeply refreshing cup. You can use a cocktail shaker for this recipe, or simply make yours in a jar with a good tight lid. 1. Sift the matcha into a dish and pour on a little spring water. Give this a good whisk until it is nice and smooth with no lumps, and pour it into the jar. Add the mint leaves, lime slice and sugar (if you’d like it on the sweeter side) and give it all a good muddle. 2. Add the ice cubes to fill around 2/3 of the jar, screw on the lid tightly, and give it a good shake for at least 10 seconds. 3. Take off the lid and top up the jar with spring water. Stir and garnish with more fresh mint and lime to finish. Variation: Looking for a cold brew with a bit of poke? 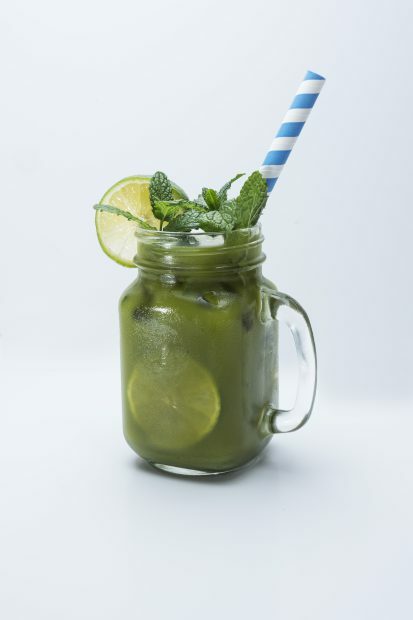 You can easily turn this shaken tea into a Matcha Mint Julep tea cocktail- simply add a shot of bourbon to the Matcha, mint leaves and lime. 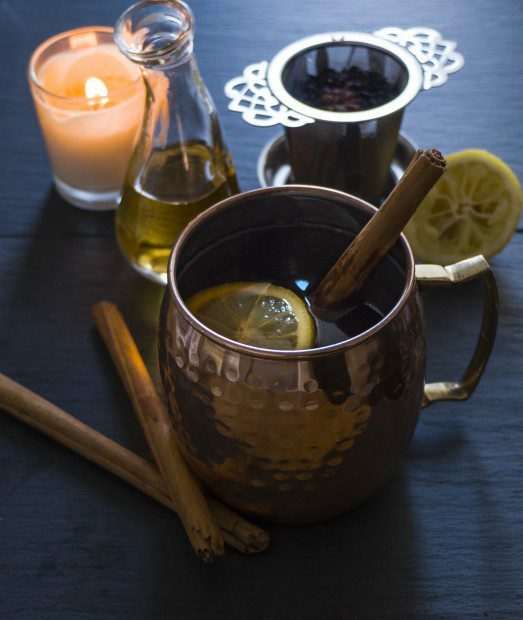 The Hot Toddy – that most famous of winter cure-alls for coughs, colds, sore throats and cold, blustery evenings. Originally prescribed by a Dublin physician in the 1800s, the recipe spread, and was soon found gracing the glasses of dinner party guests as evenings drew to a close. One of the most delightful elements of the toddy is that you can play a little fast and loose with the general ingredients and ratios – our recipe goes a little easy here on the alcohol, but you could easily bring it to a 1-to-4 or even 1-to-3 should the mood take you. All a toddy asks for is the classic combination of hot water (tea in this instance!) sugar/honey, lemon and alcohol. Toddies make for a wonderful infusion to come home to, or share amongst friends on a cold evening – so have fun and tinker with your own concoction to warm your cockles. 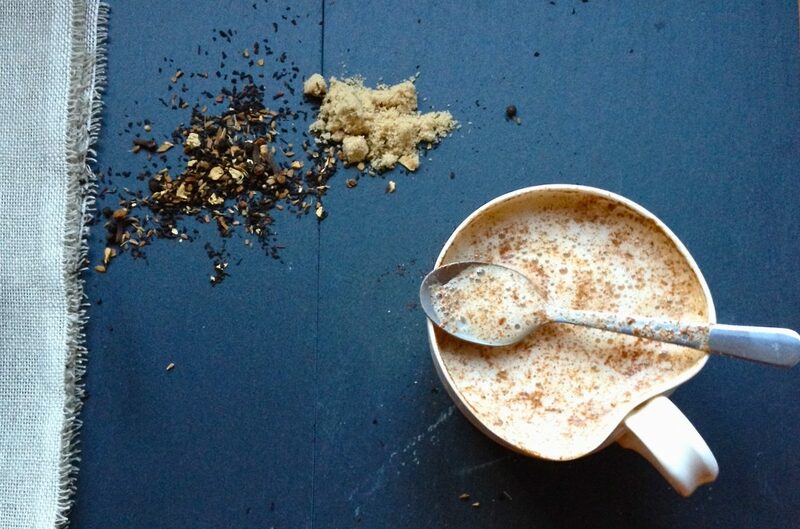 The seasons are turning and there’s a chilly nip in the air, which are two of many wonderful excuses to embrace autumn and make one of the most popular takeaways from our Tea Shop – the Chai Latte. 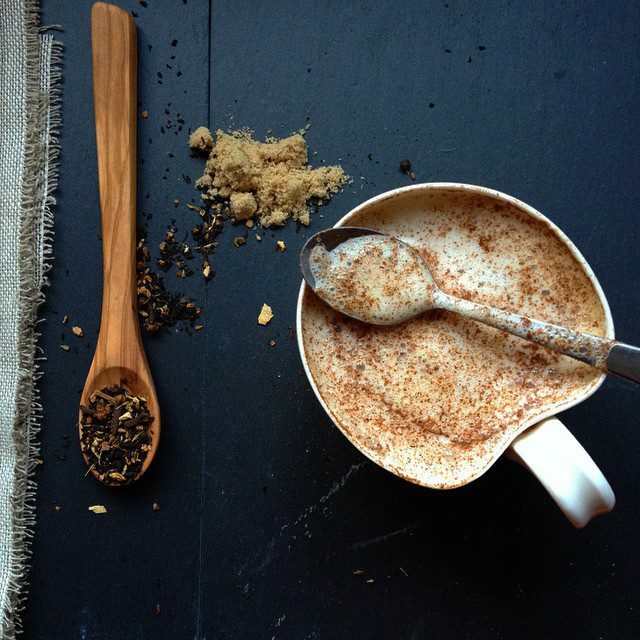 This soul warming cuppa is beautifully simple, and the scent of winter spices drifting through the kitchen is an utter delight. Comfort in a cup! Spoon the chai tea into your infuser, place into your mug and pour over the hot water until the mug is around 1/4 full.  Leave to infuse for around 5 minutes to allow the tea to develop a full, deep flavour. Meanwhile, heat the milk in a saucepan until steaming, and use a balloon whisk to create some texture. You could also use a milk steamer if you have one hiding in the cupboard. Notes: If using a frothing wand from a home espresso machine hold the milk in the jug at an angle so the milk moves in a circular motion. Keep heating the jug becomes just a little too hot to touch. If bubbles have formed, tab the jug strongly on a board and swirl the jug until the milk becomes smooth and silky. Remove the infuser of Chai from the mug and stir in your honey or sugar. Slowly pour in the heated milk, stirring as you go. Finish with a dusting of cinnamon. Relax, and enjoy. If you’re feeling adventurous you could add a little vanilla extract or vanilla pod to the milk for a Vanilla Chai infusion… Or perhaps a sprinkling of turmeric? The clocks have gone back, we’re digging blankets out of the cupboard, and fallen leaves are absolutely everywhere. Mulling season is upon us! These dark evenings are calling out for something festive bubbling on the stove, so we’ve concocted a little recipe for you. We took it out for a spin at the wonderful Halloween tasting night at The Bull Hotel with the Venner Bar and had a great response! 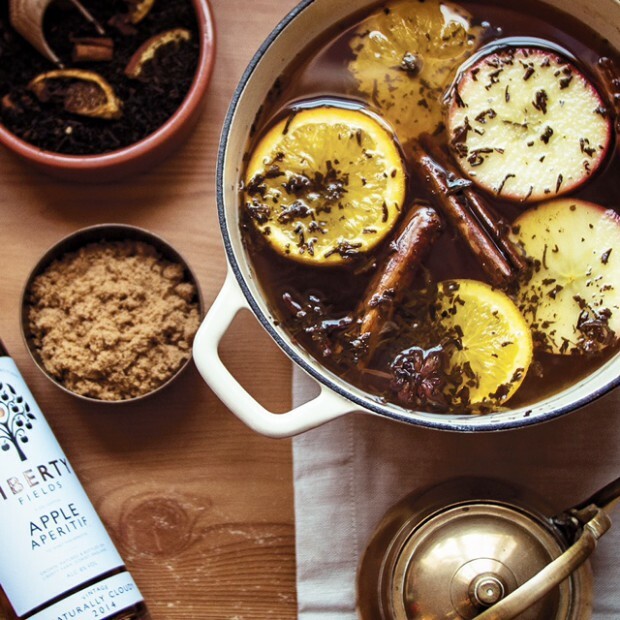 So by popular demand, here is the recipe for our Winter Spice Mulled Cider. Additional extras: apple juice, stick of cinnamon, slices of apple and orange, a slug of Calvados. Wonderfully simple. Pour the cider into a saucepan and bring to a gentle simmer. Add the tea and any extras you’d like straight into the pan and simmer for 6 – 10 mins depending on how strong you’d like the flavour to be. Add sugar or apple juice to taste. When it is ready, strain through a sieve and enjoy.